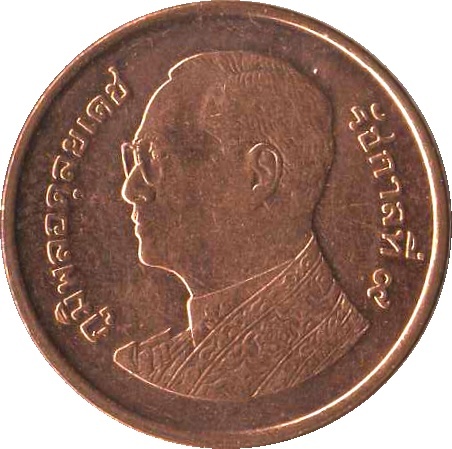 Image of King Bhumibol Adulyadej facing left, with inscription around edge. 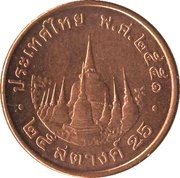 Stupa of Wat Phra Mahathat Vihon surrounded by text of country, year and value. 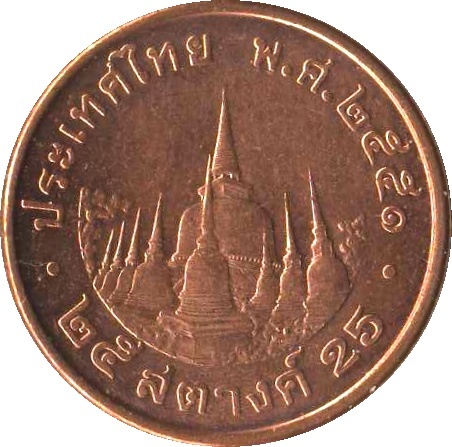 All of these coins are made from foreign mint.